Swami Jyotir Maya Nanda was born on Feb 3rd, 1931 in a pious family in Dumari Buzurg, District saran, Bihar, a province sanctified by the great Lord Buddha and his holy associations. From his very childhood days he evinced various marks of his future saintliness. He was calm and reflective, brilliant in his work at school and college, loved by his friends and relatives. Always a source of inspiration to all who came in contact with him, he never faltered in his high ethical ideals. Side by side with his higher studies and duties of a practical nature, he reflected upon the deeper problems of life. The overwhelming feeling to serve humanity through spiritual life led him to embrace the ancient order of Sanyasa on Feb 3rd, 1953 at the age of 22. Tirelessly he practised intense austerities, living in the Himalayan retreats by the sacred Ganges River. 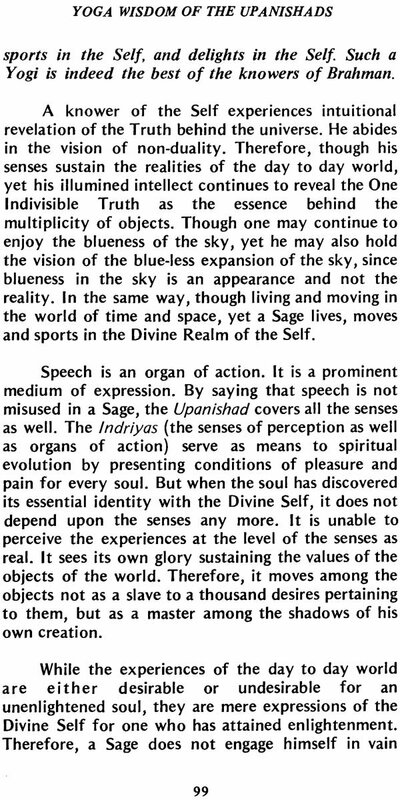 For over 9 years he was a religious professor at the Yoga Vedanta Forest Academy giving lectures on the Upanishads, Raja Yoga, and all important scriptures of India. 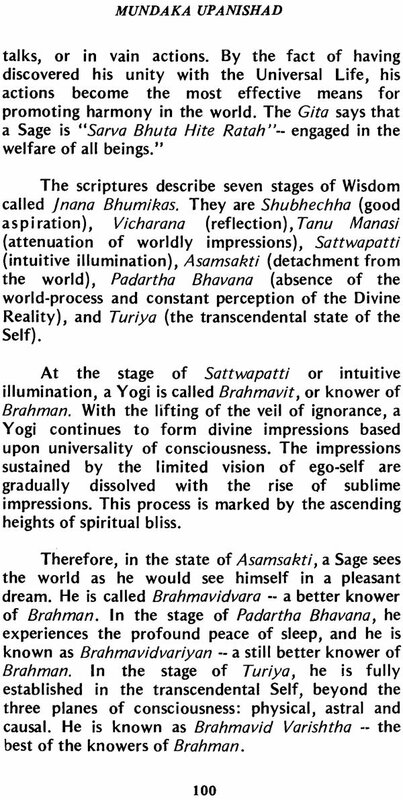 Besides this teaching, he was the Editor of “Yoga Vedanta” journal. To his Guru, Sri Swami Sivanandaji Maharaj, Swami Jyotir Maya Nanda was a gem, ever able to assist foreign student in their understanding of Yoga and Vedanta. His intuitive perception of their problems endeared him to all. 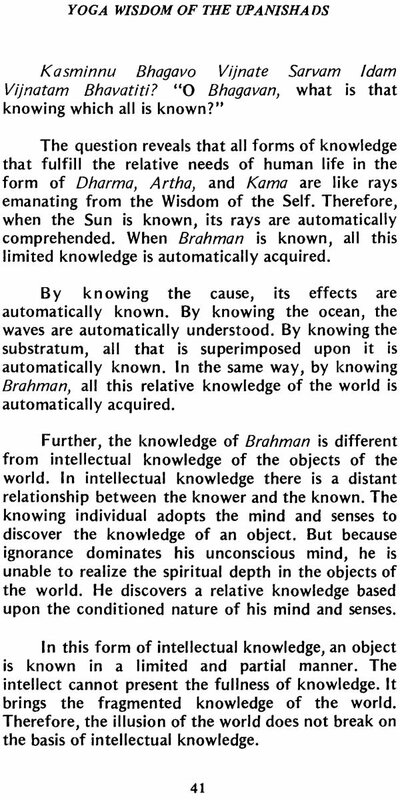 After many requests, he consented to come to the U.S.A. in 1962 to spread the knowledge of India. Crossing Europe, he lectured in various countries. 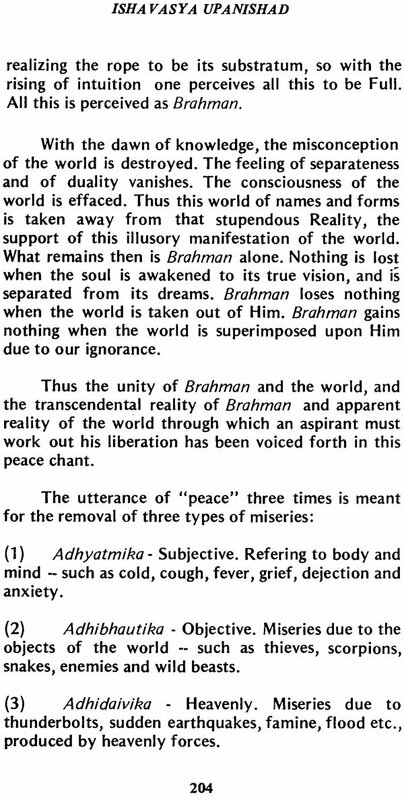 There is a development of an unusual dimension in his range and richness of wisdom–he never contradicts the great scriptures of the world, but adds to them by his unique explanations. 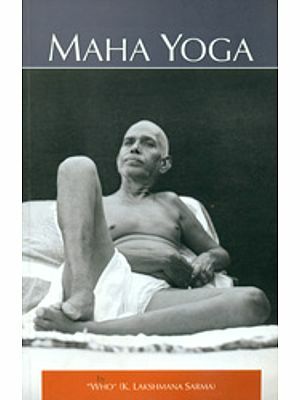 In 1964, he toured North and South America, inspiring and elevating numerous students of Yoga. 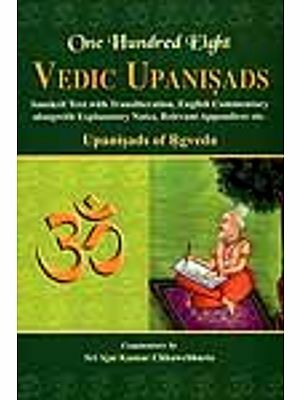 This important book brings to the spiritual aspirants all over the world a glorious fulfilment of a long-cherished need for gaining an insight into the Upanishads. Surpassing even the expectations of the seekers of truth, this book will certainly redouble their pursuit of wisdom. The author, His Holiness Swami Jyotir Maya Nanda, Presents this valuable work, abounding with wisdom, in his most classical style. It is distinguished by a direct approach which encourages serious study and practical application in life. 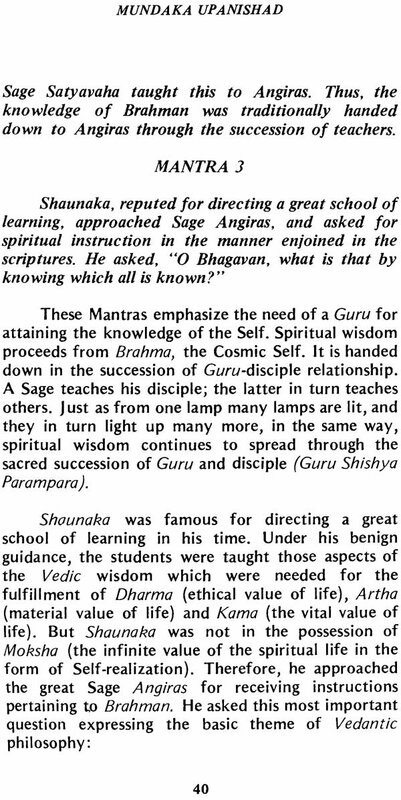 Without exception, this book is suited not just for students of yoga and Vedanta, but for every student of any religion who would understand the true meaning of a religious spirit, and put it into practice. 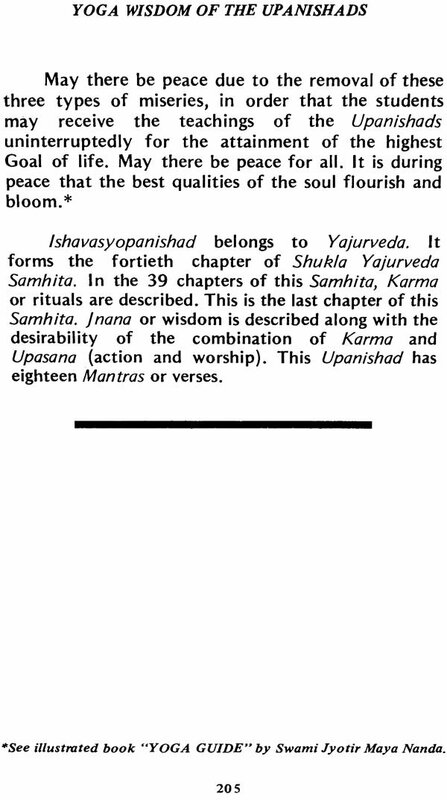 Any aspirant can delve into the depths of the soul if he undertakes a comprehensive study of the Upanishads on which the entire Yoga Philosophy is founded. 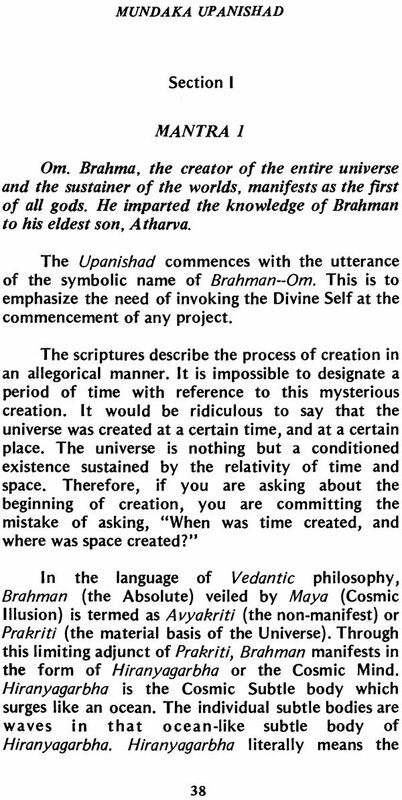 The reverend author, Swami Jyotir Maya Nanda, with his unique ability to interpret the teachings of the Upanishads in a modern style, makes this study especially suited to the Western mind deeply involved in the scientific and technological advancement of the present era. 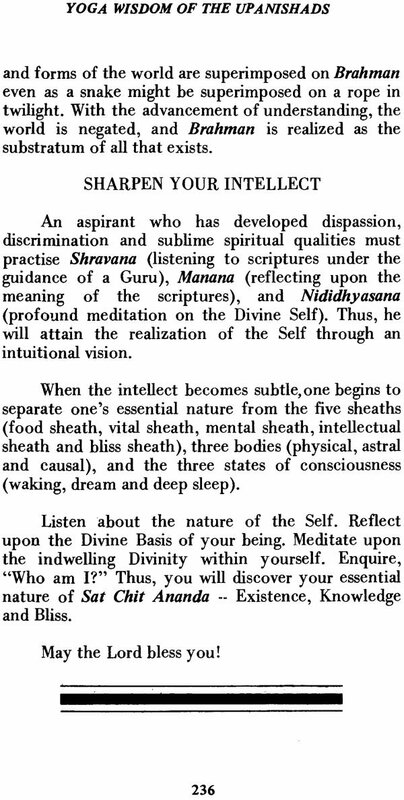 Special emphasis is given on how the Upanishadic knowledge can be utilized in one’s day to day practice. Consequently, it helps to resolve the multi-aspected problems that life abounds with in this complex world of the present. From the culture based upon the Upanishadic Wisdom there will arise great men and women endowed with dynamism, creativity, magnanimity, and a self- effacing spirit. 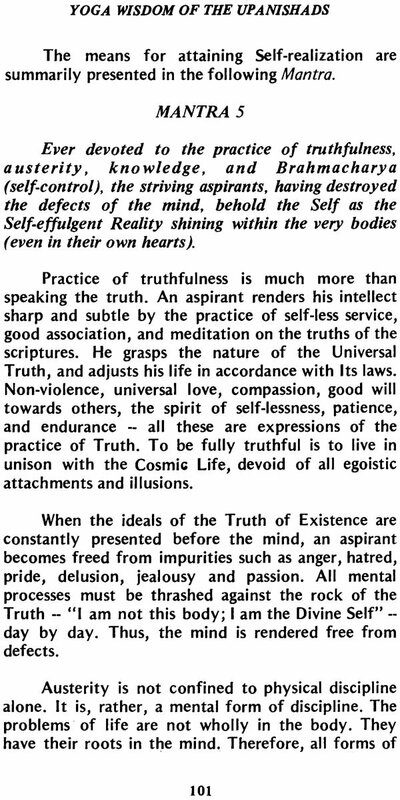 This flowing wisdom nourishes every aspect of human life, lifting the human intellect towards its intuitional unfoldment. Sri Swami Jyotir Maya Nanda has given special emphasis towards the practical application of the teachings. With his intuitive insight, he has designed the book not only to suit the academic needs of the scholars at the Universities, but also for the aspirants who are endeavoring to attain the realization of the Self. 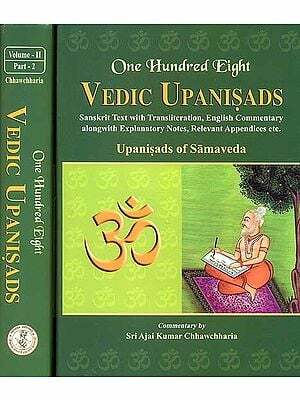 Like a diver who plunges deep into the depths of the sea to bring forth pearls, so too our beloved author has brought forth the true pearls of this great work of wisdom by diving deep into the ocean of the Upanishads. 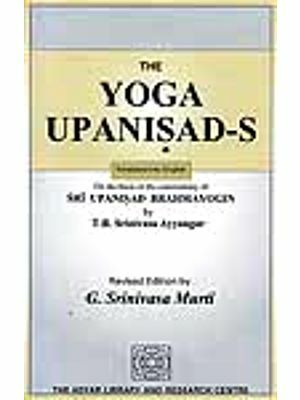 This is the first in the series of our Upanishadic collection, which we have selected from vast, already prepared manuscripts of Sri Swami Jyotir Maya Nanda. 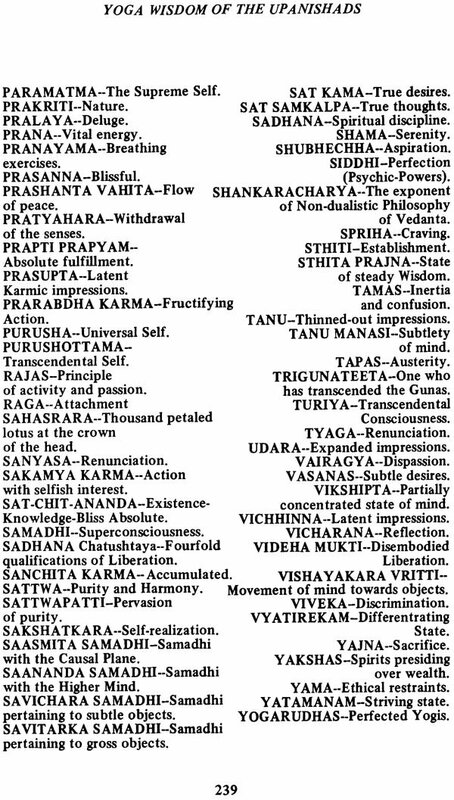 These four important Upanishads: KENA, MUNDAKA, PRASHNA, and ISHAVASYA, cover all the vital and salient points of Yoga and Vedanta philosophy. 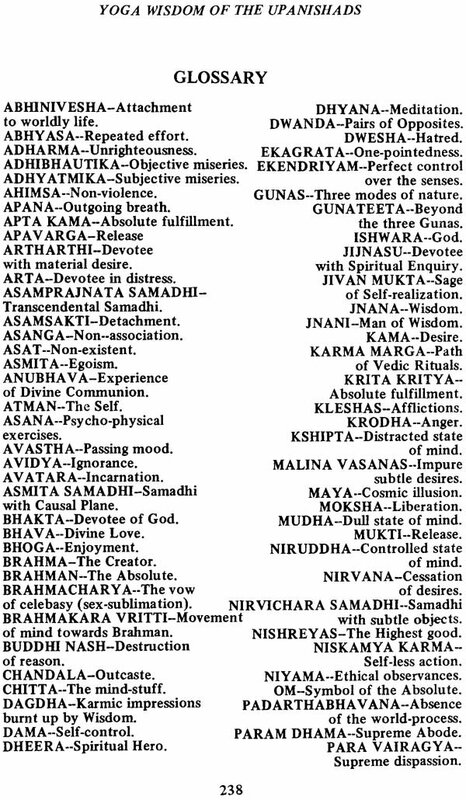 Some of the highlighted topics in this book are: Transcendental Worship and Meditation, The True End of Life, The Nature of Intuitive Knowledge, Insight into Karma and Reincarnation, Three States of Consciousness, Experiences after Death, Immortality of the Soul, Means of Attaining Self-realization, and many others. 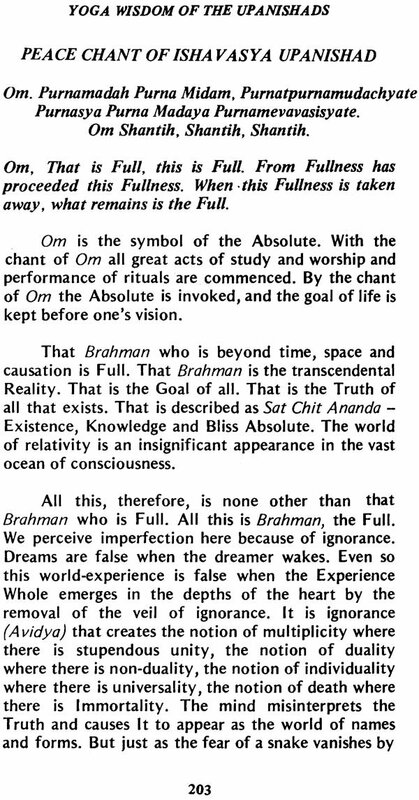 Anyone devoted to this profound study will without a doubt climb higher and higher on the ladder of Yoga to his real inheritance of Self-realization- beyond the turmoils of the world and all its objects and circumstances. 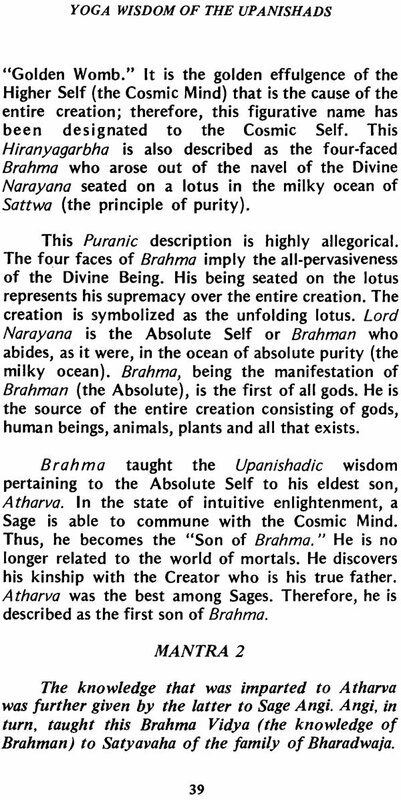 May that Most Perfect Divinity of the Upanishads guide you on your journey to your Eternal Home!